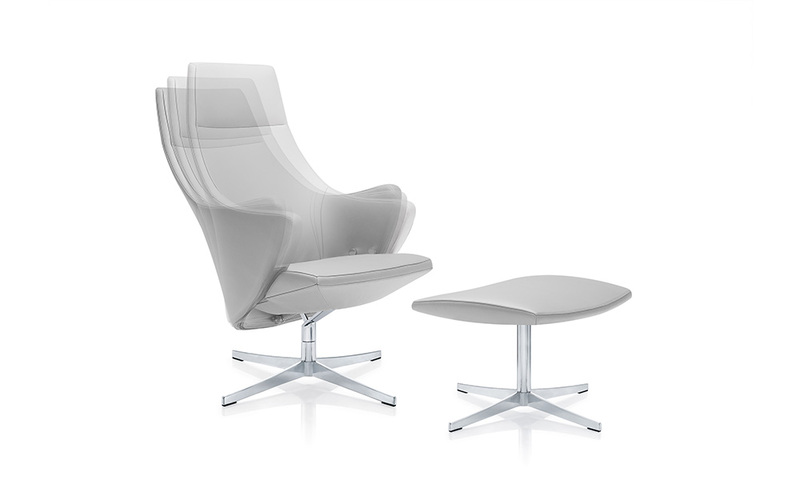 4+ Relax, a groundbreaking symbiosis of sophisticated design and perfect functionality. 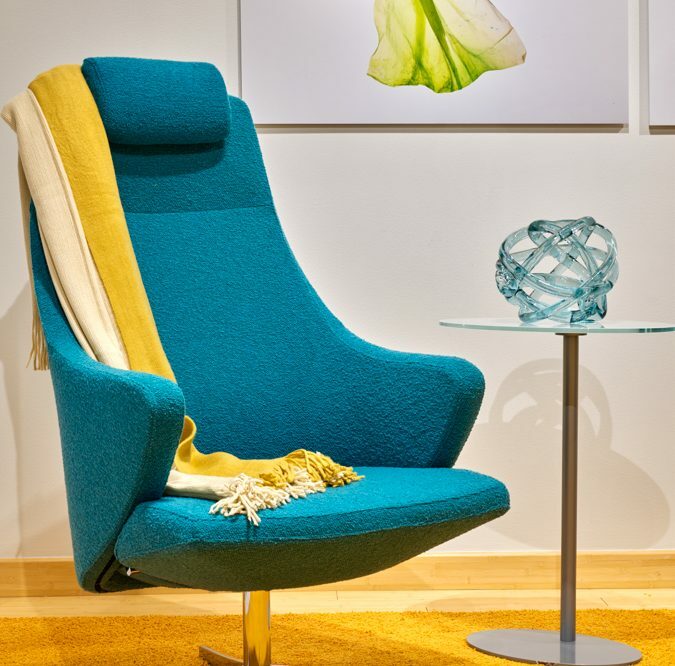 This lounge chair can be used not only in lounge and relaxation zones in office settings but also as a TV chair at home. The finest fabrics and leathers underline its great comfort. 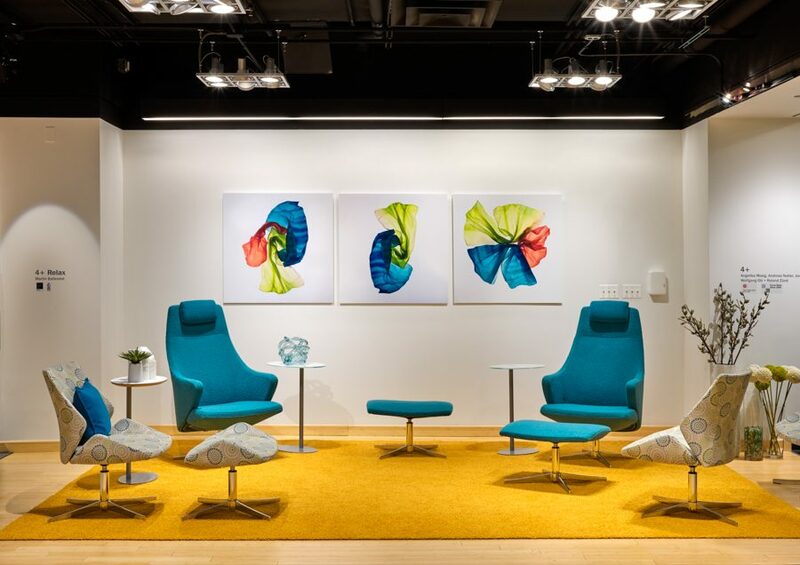 With its hidden, infinitely lockable mechanism, the elegant, understated easy chair in its organic form offers comfort you cannot see, but feel – and was named “Interior Innovation Award – Winner 2015” by the German Design Council. 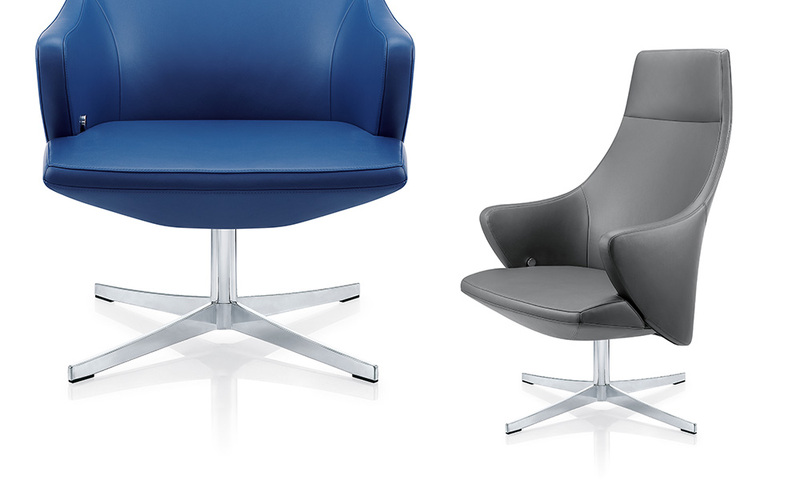 Able to be upholstered in 14 different fabrics, 3 different types of leather with 230+ colours available. 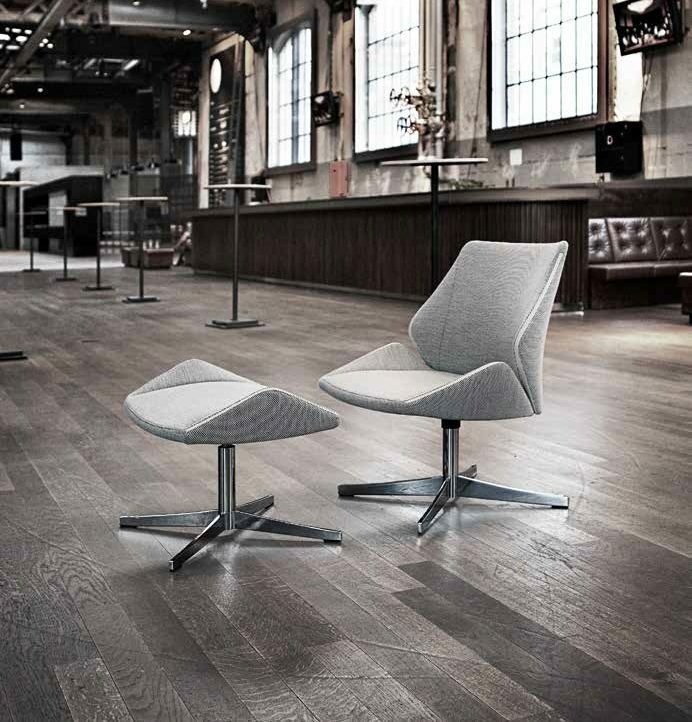 The backrest follows the user’s natural movements and features an integrated mechanism which allows the backrest to slide backwards if required. 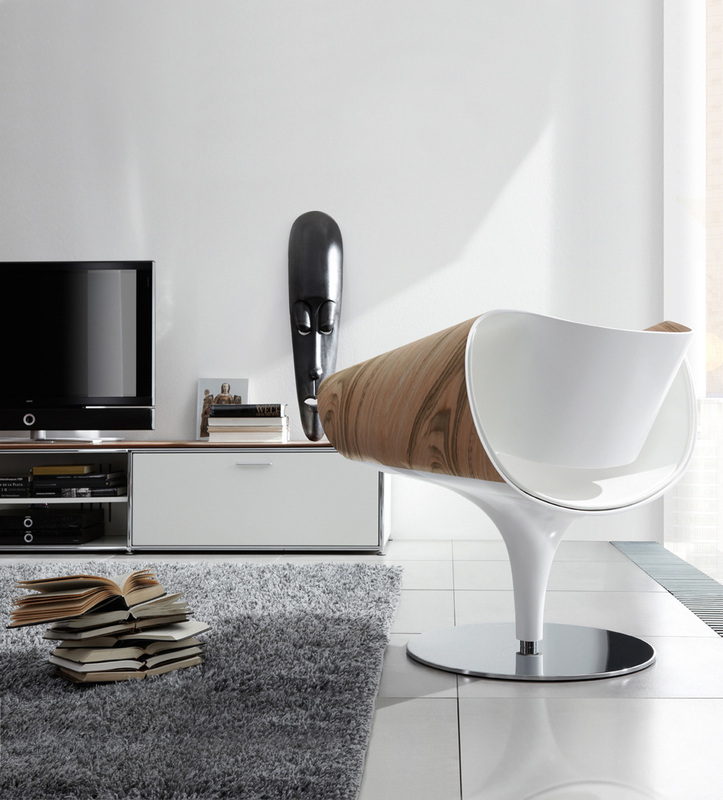 It can be locked in any position using the button on the inside of the chair. For even greater comfort, an optional height adjustable neck cushion is available. 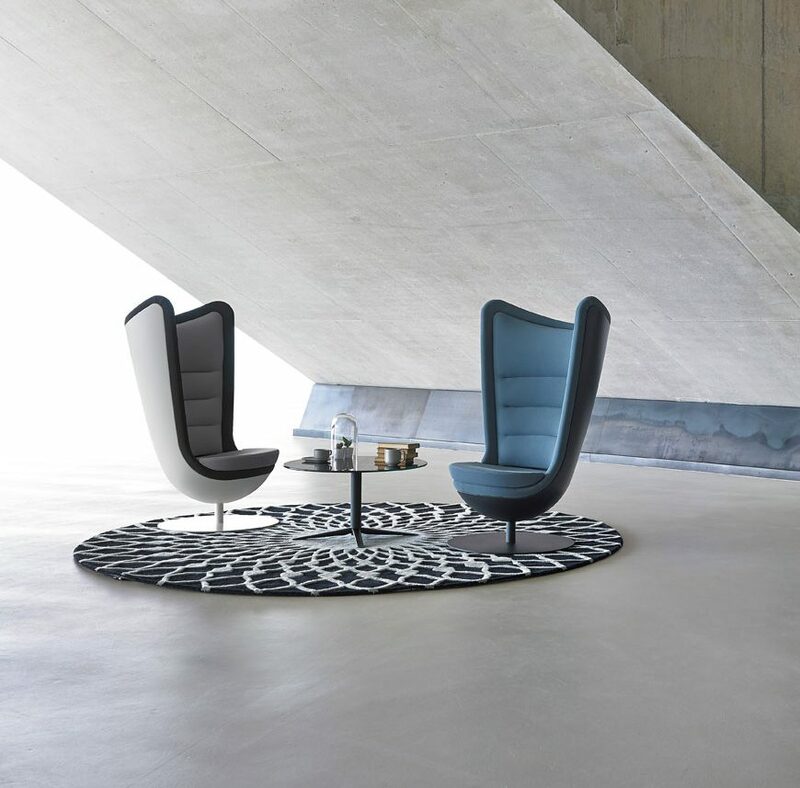 The lounge stool is the perfect addition to the chair – both visually and in terms of comfort. 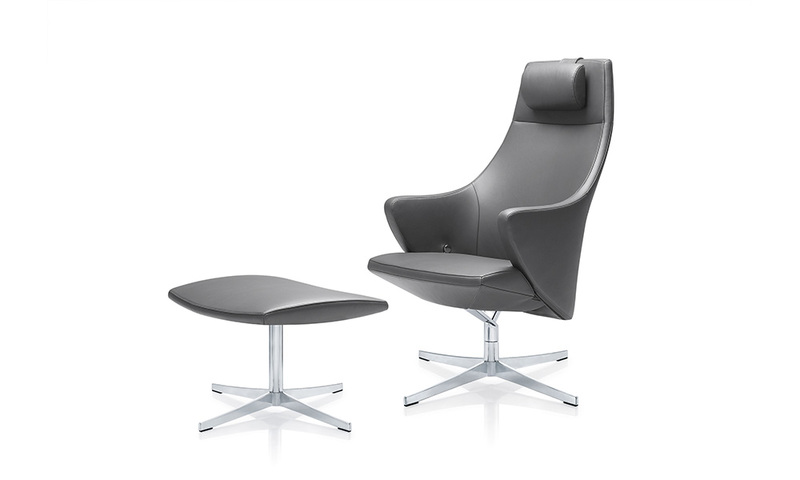 The 4+ Relax boasts an auto-return mechanism.